Set Your Location Remote beach? Middle of the desert? No problem. Just set your drop zone in the app. Meet Your Chute Our drones are loaded up with your meal and dispatched to your location. Fire Up & Eat Meal selection is curated by outdoor chefs to be grilled perfectly over a BioLite flame. Let's Get Cooking Getting started with Backcountry Bites takes just a few clicks. The outdoor's only food delivery service awaits. *Cannot be combined with any other offer, coupon, or used on any previous orders, shipping, or tax charges. Offer is non-transferable and value cannot be redeemed as cash. To activate offer, enter code: 'APRILFOOLS' at checkout to reveal discount. 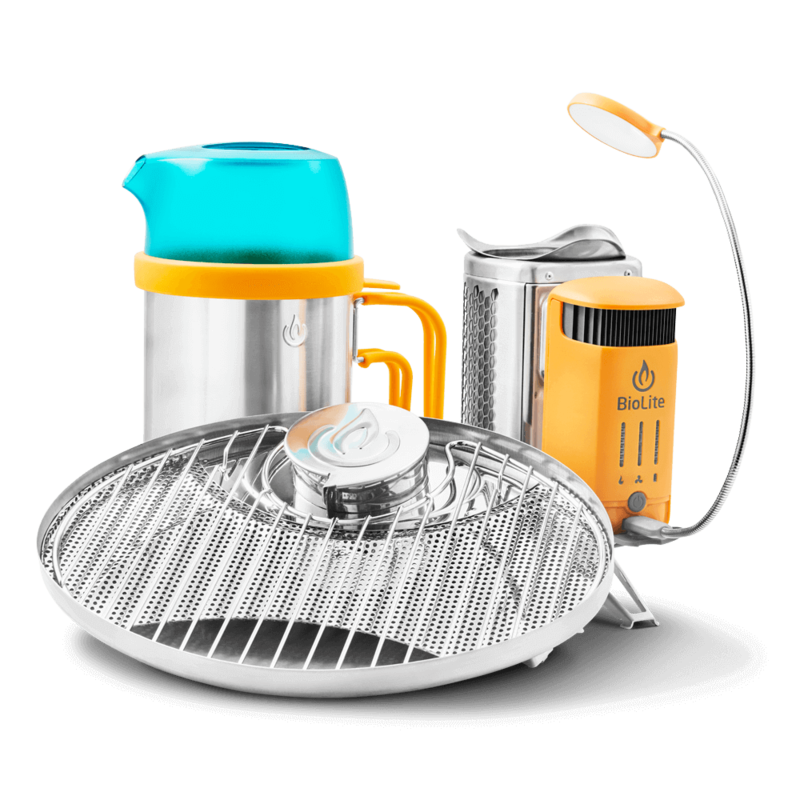 Offer eligible on the CampStove 2 Bundle only. This offer ends 4/2/2018 11:59PM ET.